For a timeline, this is about 2 weeks after planting the seed directly in the soil. And this is half way through the growing period, around 50 days. 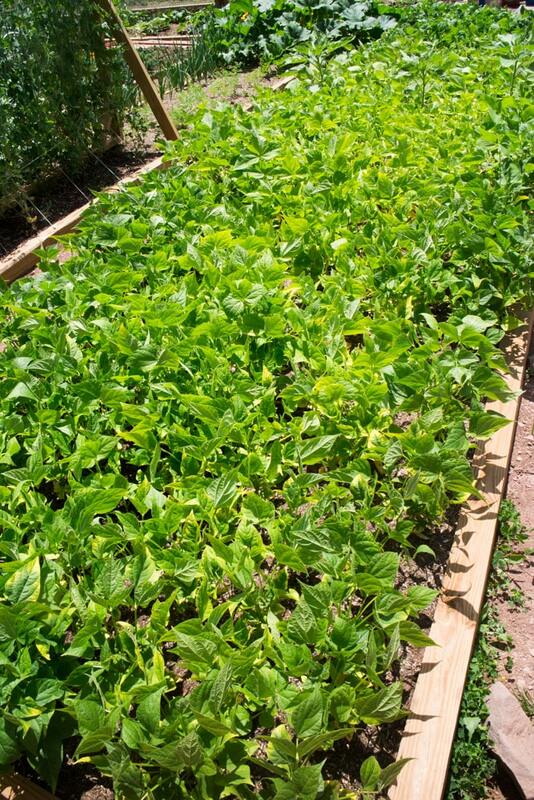 This is our garden bed filled with just beans! Me as the black bean lady. The beans were just picked and now they’ll hang in the shed for a week. And then the most tiring part… popping open the pods and taking out the beans! 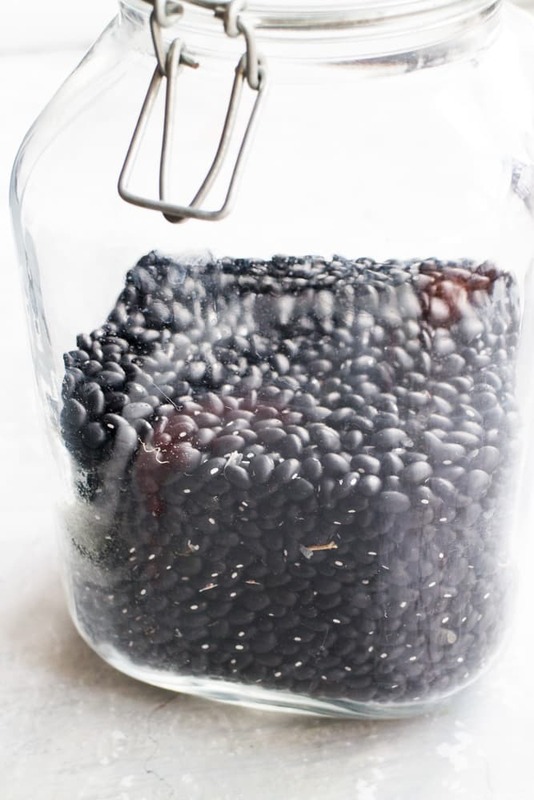 If you’re growing lots of beans, put aside a entire afternoon for this. Once they’re all removed from the pods, store in a jar, preferably glass jar so you can admire them. Beans store wonderfully, I don’t think I’ve ever had beans that went bad. My favorite part of growing Summer dry beans is being able to eat them in the middle of Winter when it’s 30 degrees out. It really makes Summer gardening feel special! Hope you enjoyed learning about black beans and I hope you try growing them! As always if you have any growing questions leave them in the comments section. 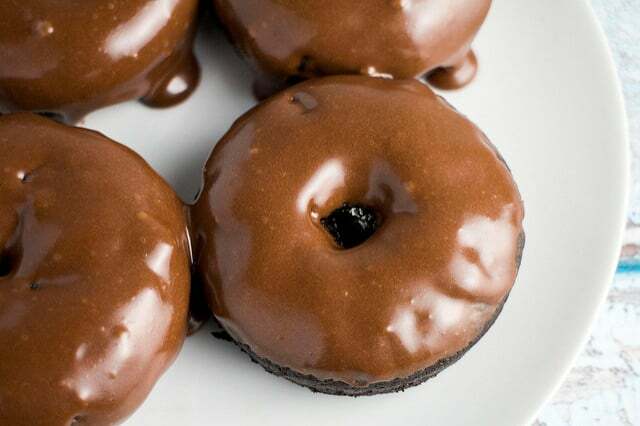 I am definitely going to try them this year!! I love black beans but never thought to grow them. Last year I grew pole beans on a trellis on the duck pen-a crop and shade for my babies! Happy to hear you’re going to give them a try! Keep me updated on how they’re growing – have fun! Do you start these in containers and them move them outside? We’re in Minnesota so the early gardening season is touchy. Hello Saeriu, I’m in zone 5A where it’s risky as well in early Spring. I always find it’s best to plant the black bean seeds directly in the soil. 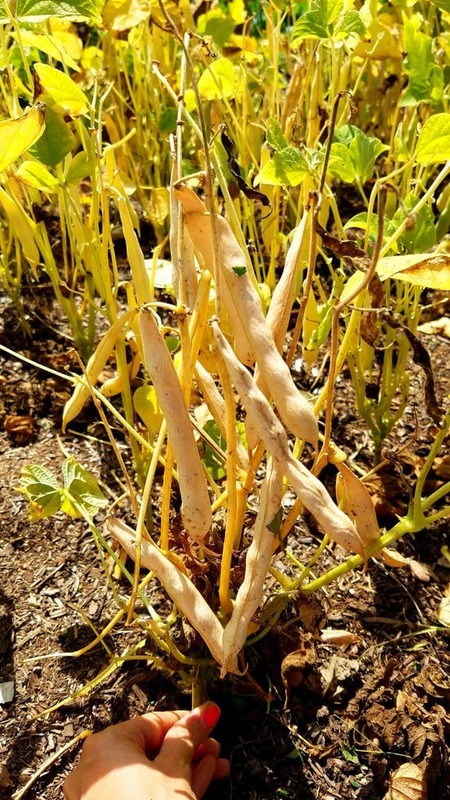 The beans usually take about 100 days to maturity so if you plant them in late May, you should have plenty of time for a full bean growing season. This is so great!! BB’s are definitely one of those things I think “buy”instead of “diy” but you have challenged that!! Beautiful work and great tutorial! I hope you try growing them Jessie! They’re one of my favorites to grow, especially because I can admire then in my kitchen for months after picking! I buy most of my seeds from Johnny’s Seeds (online). 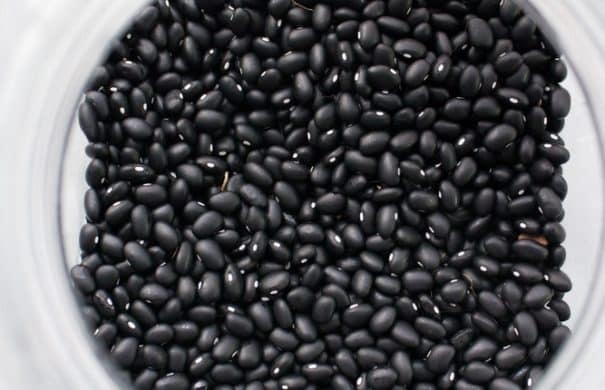 A couple of years ago, I had an empty raised bed and decided to toss some black beans out there to try…..not from seed packets, but from the grocery store. They did amazingly well!! So, instead of 20 seeds for $1+, I got a full pound of seed for $1+. I think I planted maybe 60?? And harvested a couple pounds of beans. A little tedious, but a fun experiment!! Oh the pain of podding those beans! It hurts! BUT!!! Good news! I saw an idea from Seed Savers Exchange… Just pick off the dried pods and stuff them in a sack (the kind of plasticy woven gunny sack that bulk dried beans come in) then throw it around, hit it against a building, have a child jump on it…. Anything to break those tough pods. Then separate the beans from the chaff which you can do with a fan or the wind or your hands…. I am SO doing this next year!!! Hey Alissa, I’ve totally tried this but it didn’t work too well for me and left so many broken pod pieces with the beans which were a real pain to pick out. Might be worth trying again, but if not, I always have the loving one at a time method to fall back on! Hope you have good luck with it, enjoy the beans! Hi! My name is Becky and I live in central Florida. 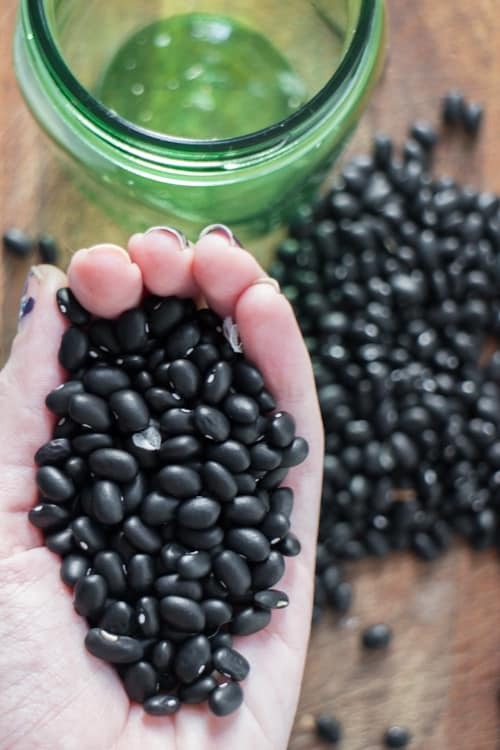 Our weather here has been a scorcher this summer, so I was wondering if it would still be OK to plant black beans. They are my family’s favorite so they’ll never go to waste. I’ve been prepping the soil with natural organic things like banana peels , Coffee grind, natural organic food and soil. But on one of your pictures I noticed you had I believe mulch around the seedlings, am I my correct and should I use this here in Florida ? Any help or ideas would truly be appreciated, I really enjoyed reading your blog. Oh sorry so many questions, are beans from a bag ok (Goya)? Thank you so much. Hey Becky. I live in Brevard county and hope you get an answer about the mulch. I want to Try black beans too! Good luck Jaquenta, I’d love to hear how your beans turn out! Do these grow up a vine or are they strictly for ground growers? Hey Sheri, they are more a ground plant as they don’t grow very tall. Thank you for the detailed information, I bought some and was also wondering if they were a bush tyupe plant or vine. Mine are going in the garden today! 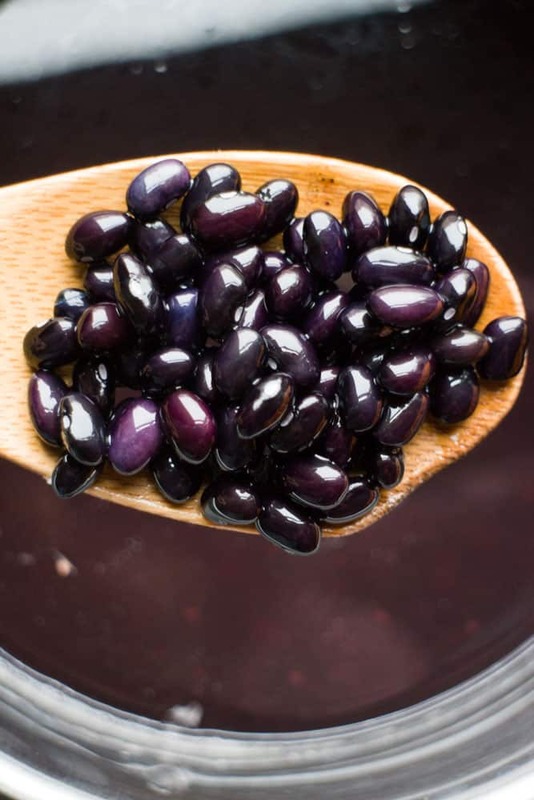 Have fun growing black beans Kimberly – good luck! I think some people asked if you needed to mulch your beans. It’s not necessary, but always better, gives them a nice damp blanket they appreciate especially when they are young bean seedlings. Once they are taller they are pretty resistant though, in my garden the climbing black beans actually protect my other plants from heatwaves. Also, you can plant beans indoors before the growing season and transplant, but beans you plant directly in the soil outside catch up pretty fast with their indoor counterparts. You don’t need to fertilize them with nitrogen (green mulch/compost) because they are the ones who pump it from the air into the soil! Yes, you read me, they fertilize your garden for free. Try planting anything else the next season in the same soil after beans, you will get fabulous results. 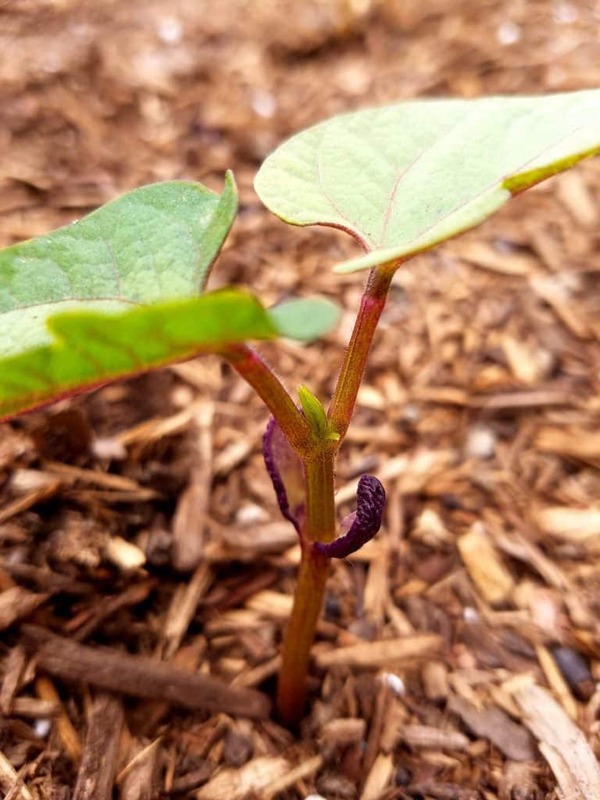 I would recommend though to fertilize beans by adding compost when they start flowering to help them produce more bean pods. Hey William, it is, but you still might need to soak them to soften them up a bit. 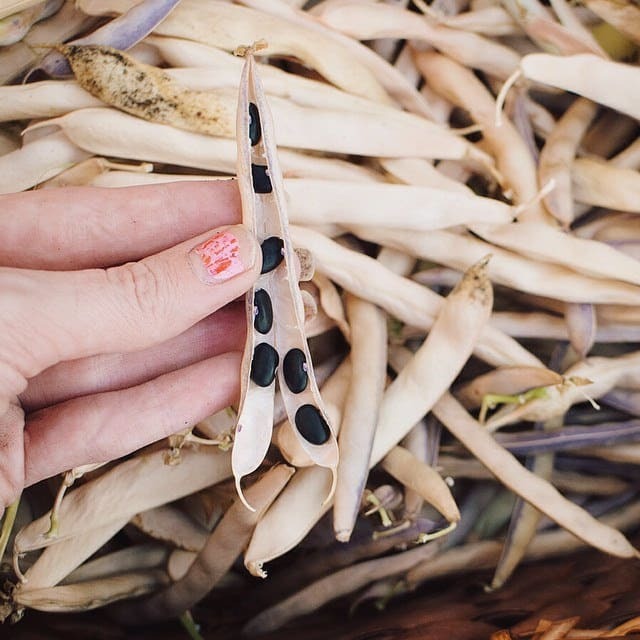 Have fun with growing beans! Hey Rosanna, nice to meet you! 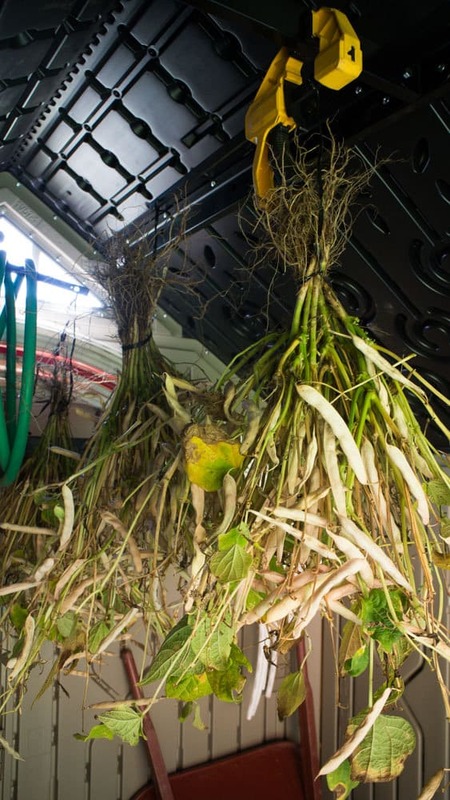 Always when transplanting, plant roots have the possibility of getting damaged. Hopefully not too much damage is done and the bean plants will recover quickly. Are they still standing straight up or do you notice them wilting? I did a dumb thing, and picked the black beans when they were not dried (I thought they were green beans). There are beans inside, that are small and white. Is there anything that can be done with them, or do they just have to go into the compost. Can you eat these? Hey Char, you sure can, but you’ll need to cook them to tender – make sure to fully cook the beans! Enjoy! This is great. 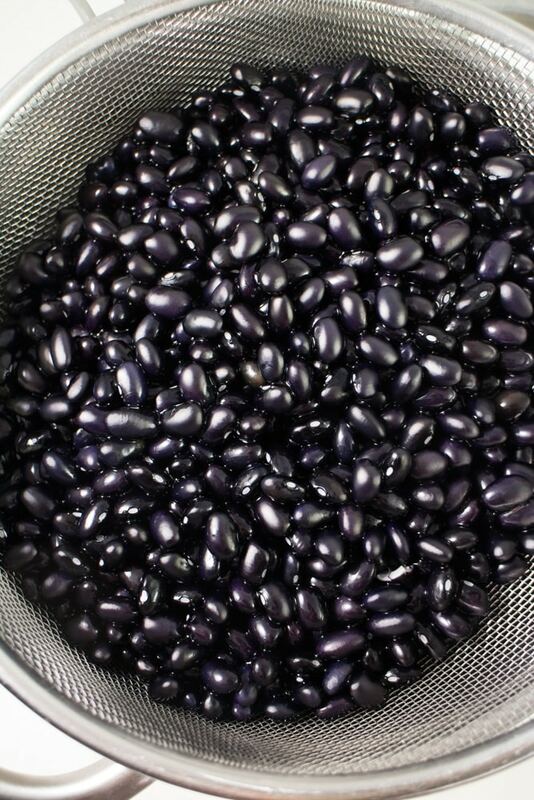 When I was a child in my country in Africa, we grew a lot of black beans.Sorry to say the are no more. I would love to grow them. I hope you give it a shot Rachel! They’re really fun and easy to grow! My husband wants to try to eat some of the beans before they’re ripe. He picked some that are still green. Are these OK to eat? My plants are still green, but we’re expecting snow!! I have no clue what to do with my garden full of beans; cover them, pull them? Help!! Hey Heather, you could pull them if the beans are big and close to the end, but if they aren’t I would recommend covering with a row cover fabric – to protect them from the snow and temperatures. I would also fill up a few jugs with water and place near the plants – the sun will heat the water up during the day and then share that energy at night when it gets colder. I found packets of black bean seeds at our Ace hardware after I had planted our garden but had some large pots so tried that. After planting I found your website. Thank you for all the pictures, they were very helpful. I only had a few plants due to lack of space but I just harvested ten ounces of black beans that we will eat in the dead of winter. Next year I will have some real space in a garden bed and will plant more. This also has me thinking about trying to grow other dry beans, especially the ones that are expensive. Thanks… great information… I even make Black Beans Brownies…”to die for”. Try those when you can. 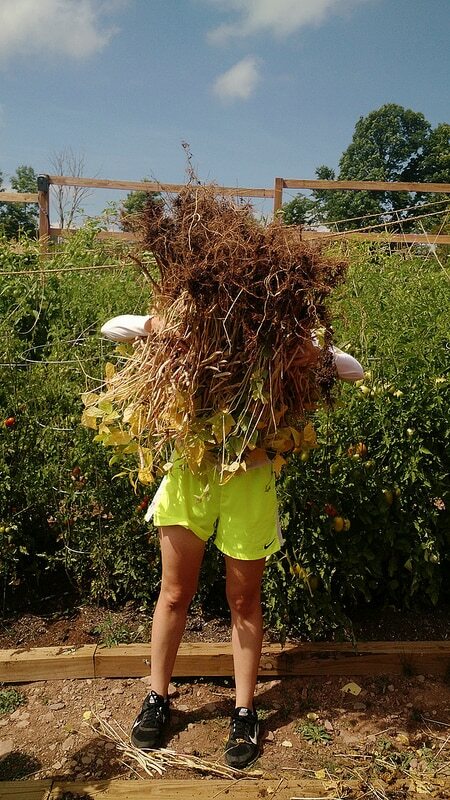 I’ll definitely try growing my own, this year….2019… Thanks, again.. I appreciate your addition of timeline pics! What would you recommend for someone renting and moves often? 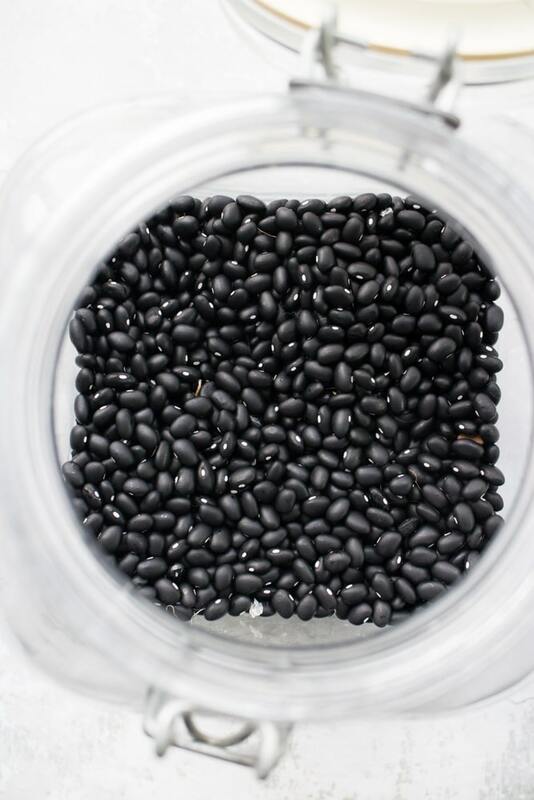 Also would you advise for or against soaking the beans for 12 hours before planting into soil? Hey Olivia, you could grow these in containers if you predict a move in the near future. But obviously you’d need to be moving some place nearby, as relocating containers filled with black beans doesn’t sound very much! Hah. We don’t soak our beans before planting. Hope this helps! Good luck!